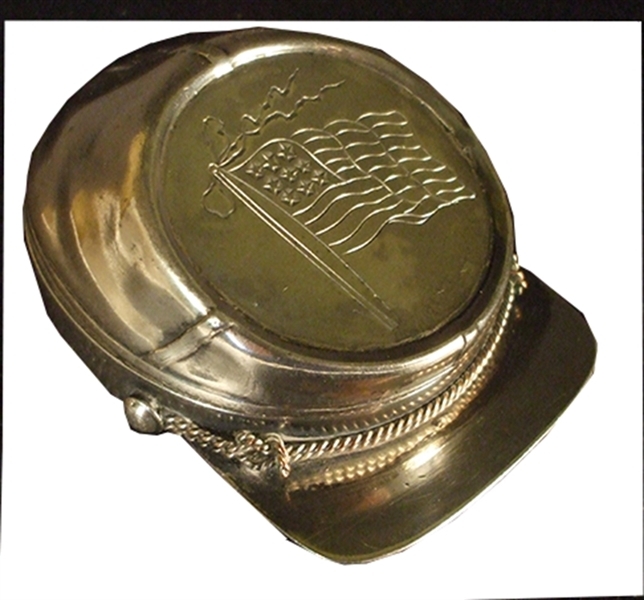 A two piece jewelry case, 2-1/2” x 3-1/4” x 1” with copper braid above the brim and an American flag engraved on the piece. Top comes off, provided a nice jewelry container. Maker marked, Wm. Barthman, Broadway New York, Patent December 25, 1894. c1894, VG. (formerly Rex Stark inventory).